There Jesus Christ, the King of Kings was born. Not in a palace nor place of importance. No, the Savior of the World was born in a stable amongst cows and chickens, in a manger. 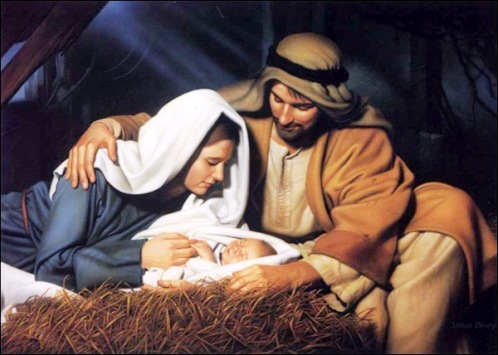 From the most humble of beginnings came the great Prince of Peace. The one who would later perform the greatest act of love that has ever, and will ever occur; the atonement. What hit me while I pondering the birth of our Savior was that though he was a God. He had to be born like we did. He had to experience the growing pains of life just as every one does. He had to learn and grow, he didn't just come to earth and start performing miracles and doing Heavenly Father's work. He had to work his way there. Like him, I must go through my earthly trials and experiences to reach my eternal potential. Though born under less than ideal circumstances (being born with gay tendencies), I can and will through the Savior reach where I need to be. Looking back over the past year, I'm so grateful for the experiences that I've had. I've gone through some hard things but always made it out on top. I've had some incredible people enter into my life that make wonder how I ever lived without them. I'm so blessed to have members of my family as well as the greatest friends that one could hope for who not only love me but support me in my challenges. To everyone who reads my blog, I hope each of y'all have a Merry Christmas. May you feel the love and blessings of the Savior in your life.